This year the Mayor, Cllr Sean Keating has chosen NeighbourCare as one of three charities to benefit from proceeds from a number of events. The first event was in October, a Variety Show in the Anvil. The second event is by the Hampshire Music Service on Saturday 2nd March in the Anvil, tickets available from the Anvil. There is a Mayor's Lunch on 27th March, tickets from the Mayor's Office. 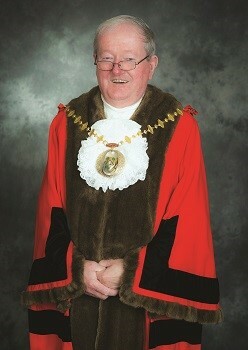 Cllr Keating chose NeighbourCare as he was a volunteer driver and Trustee for many years. Please support NeighbourCare by attending one of the events. We need to raise around £25,000 each year to support those who cannot easily travel locally or need a friendly face visiting every now and then. Hold a coffee morning or cake sale to raise funds; ask a few friends to get involved. Ask your organisation to give a few hundred pounds as a contribution to a local service that benefits their employees and pensioners. Recently four organisations together gave £3,500. A strong benefit if their employees’ older relatives can access transport easily as it could mean less time off work. Persuade your organisation to hold a sponsored event. Recently the Hampshire Court Hotel in Chineham held a Rowathon and raised £230 from their Leisure Club members. Lobby your company directors to adopt NeighbourCare as charity of the year. BMI Hampshire Clinic chose us as their charity of the year to celebrate their 30th anniversary. An employee nominated NeighbourCare. After a vote they organised a number of fundraising events including a quiz with fish and chip supper; a Bake-Off judged by our patron, Lady Portsmouth; a tombola at an It’s a Knock Out competition and a Celebration Dinner. 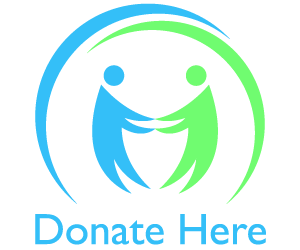 Make a single donation that can, if you are a tax payer, be Gift Aided. £12 would provide funds for two trips to GP, hospital or social club. With Gift Aid this would provide three trips. Click on ‘Contact Us’. Make a regular donation through a standing order. This is very useful as it gives us confidence financially. £5 per month would give ten trips each year. Click on ‘Contact Us’ and request a Standing Order Form. Make a legacy gift to NeighbourCare. This is free from Inheritance Tax, and after looking after your family and loved ones, a small gift in your Will would be so valuable to NeighbourCare. Adding a codicil to your Will at any time is easy and a phone call to your solicitor is all it takes. Do you shop on-line? Sign up with ‘Give as you Live’ by accessing their website: www.everyclick.com; click on GET INVOLVED (blue button), then SIGN UP NOW (green button), then CREATE YOUR ACCOUNT and select Basingstoke NeighbourCare as your chosen charity. Every time you make a purchase many companies will donate a percentage of your purchase to our charity at no cost to you. Many older people like to be independent. Often their family are busy at work or looking after their children and are not available to take their older relatives to GP appointments or hospital or social clubs. 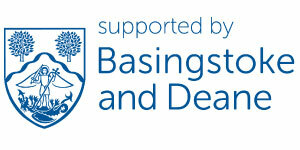 Basingstoke NeighbourCare can assist. Some older people have no family who are close by. 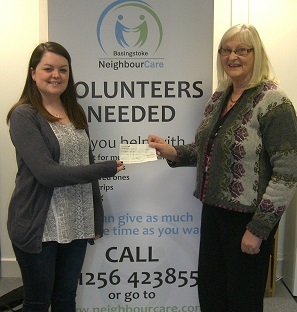 Basingstoke NeighbourCare provides a lifeline. We are all aware through national surveys that there are many people who are lonely and rarely see anyone for several days at a time. Basingstoke NeighbourCare is there to provide a befriending service so that our clients see a friendly face to talk over their concerns. We need your help so that Basingstoke NeighbourCare’s services will be there in the future when you or your family might need them. We would also like to thank many individuals who have given both time and donations towards our cause. This includes many of our volunteers who have waived expenses reimbursement and we have been able to claim Gift Aid on their donation and this makes a very valuable contribution. 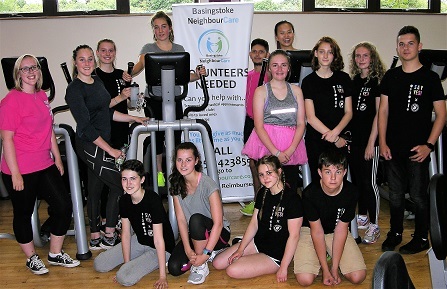 In their action-packed week, they put on a sponsored Triathlon at Hampshire Court Hotel, a Quiz Night at Spotlight in Popley and a Coffee Morning at Cliddesden Church Hall attended by the Mayor, Paul Frankum. 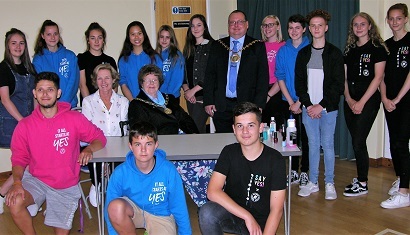 While at the coffee morning Jane Frankum, Mayoress enjoyed a nail painting session by one of the group. The students worked as a team to select their events, book the venues, obtain prizes, attract an audience and manage the event. They raised £1,439 pounds, including a Vodafone matching of £350. A magnificent effort and we are also grateful to their families for supporting them at the events. Maria Miller said “NCS gave young people a fantastic opportunity to deliver a project to benefit their community” when meeting the students. 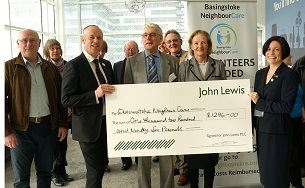 On 26th February, a cheque for £1296 was presented to NeighbourCare's Patron, Lady Portsmouth, by the store managers of John Lewis and Waitrose, Basingstoke, as a result of being chosen as one of three charities to benefit from their community Matters scheme. Also present were trustees and volunteers of the charithy who enjoyed a cup of coffee at the new store which opened on 12th November 2015. NeighbourCare is very grateful for this contribution and to all those who supported us by placing their green tokens in the NeighbourCare box. 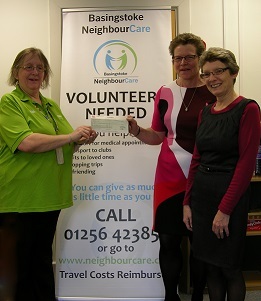 ASDA at Brighton Hill chose NeighbourCare as one of its three charities to benefit from their Community Life scheme for January and February. Thanks to everyone who voted for us with their green tokens which resulted in a donation of £50. Lilly made 100 Christmas cards and sold these at work for £1 each, raising £100. The Charity Committee at Surface Technology International Ltd, an electronics company based in Hook, decided to donate the money raised to Basingstoke NeighbourCare.